Lahore is one of the most important cities of Pakistan and when talked about in terms of our culture it is definitely the capital of our country. Not only are there the most treasured historical monuments but it is also home to the famous walled city. This walled city was enclosed by a wall which is why it remained in the same condition and all the changes took place in the outer sides. This walled city is famously referred to as “androon shehar” by the locals. 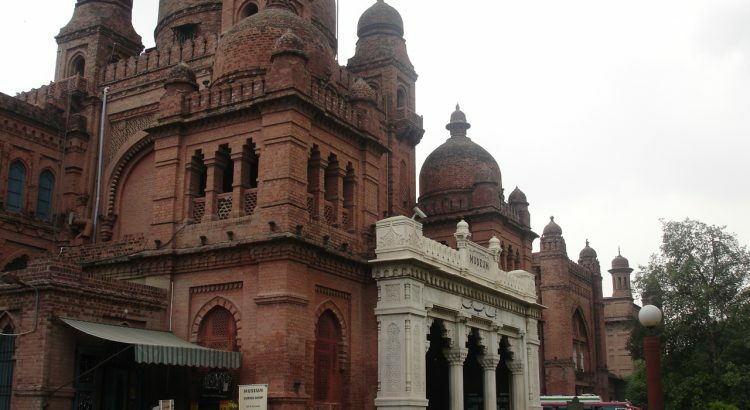 This area of Lahore has a strong attachment with history as it has gone through times of war, peace and festivals. A lot of people came and lived here for years. It was home to first the Hindu civilization, and then came the Ghanznavids and Mughals. The real beauty of this place was brought when Mughals ruled but soon after the British brought it under their control. For a very long time, even after the British left, this city was kept in its beautiful historic condition but now, it has been converted to more of a commercial hub. With time, more and more business related activities are opening up there which is taking the essence of that area. For all of us, our relationship to this walled city and this heritage is as pure as a child has with his mother. The responsibility falls on us to take care of it and preserve the architecture. A much appreciated initiative by the Punjab Government took place when they established the walled city Lahore authority (WLCA). The main function of this body is to basically look after the remaining architecture and to make sure that it is preserved in its original form and not changed in any way. Punjab government is what funds the working body but recently the process has slowed down due to lack of funds. It is good to further beautify the area but one thing must be kept in mind that the original look doesn’t get affected. Some of the most famous buildings in the walled city are Badhsahi Masjid, Wazir khan Masjid and Delhi gate. All these buildings have traditions stored from thousands of years. It is a big asset for our cultural representation and we must do our best to protect our identity. Talking about the recent events, the orange line metro project has been in the limelight. This expensive project is reported to affect about 5 of the important historical monuments. The Project is a big one because it is going to connect many far off places and will serve as a huge advantage to the Pak-China trade. When the project started there was a lot of retaliation from locals which is why it was put on halt. The case is still under consideration with the Supreme Court and people only want that the authorities carry the construction but on sites which are away from the buildings. We may think that government is responsible and it their duty to work for the protection but it is equally on our shoulders as well. We visit these places quite often and are amazed by the magnificent beauty of it but at the very same time we need to be careful that none of our acts poses as a threat to its rich look. People from foreign countries come and visit these places and admire it and this is a great pride for us. We need to make sure that this pride truly lives for long and continues to amaze everyone.